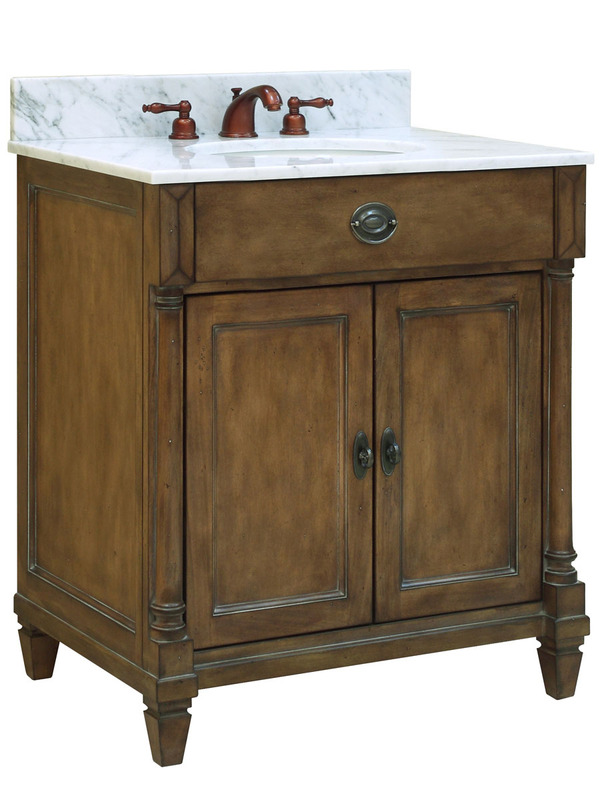 Antiqued, yet refined, you'll love the relaxed feel the 30" Regency Place Single Vanity will offer your bathroom. 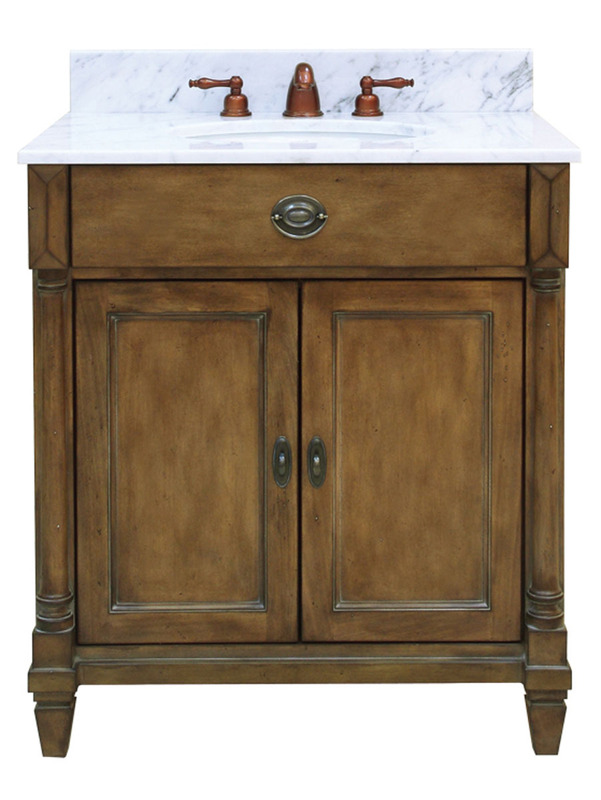 Featuring a hand-detailed finish with an accenting glaze with some light physical distressing for authenticity, the Regency Place is made to look right at home in any relaxed bathroom setting. Its double door cabinet is equipped with soft-closing mechanisms for durability and open up to reveal a hidden shelf and drawer for all your bathroom storage needs. 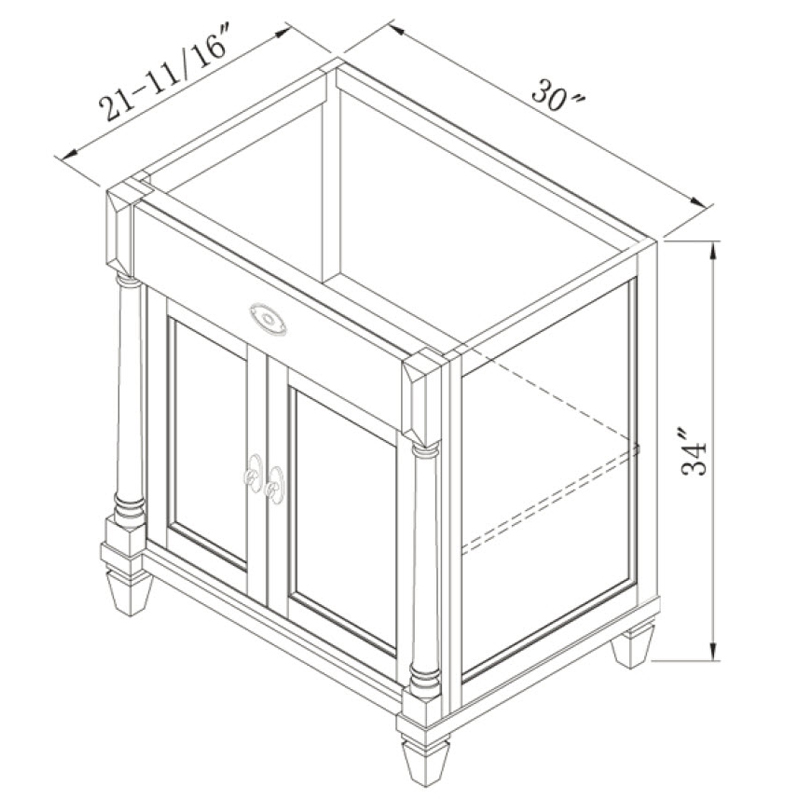 Each door is accented with antiqued hardware that is matched with the accenting ring pulls on each side of the top of the cabinet. 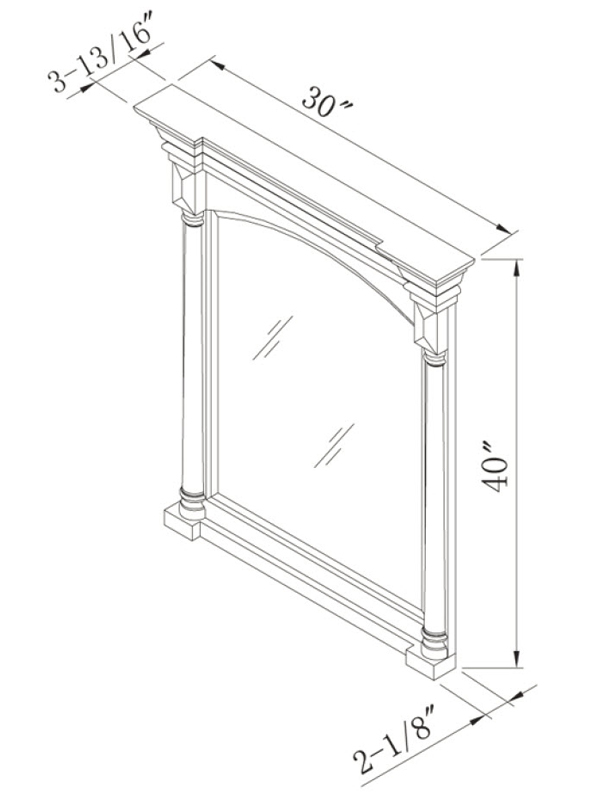 Tapered legs feature adjustable levelers for easy installation and height adjustment. 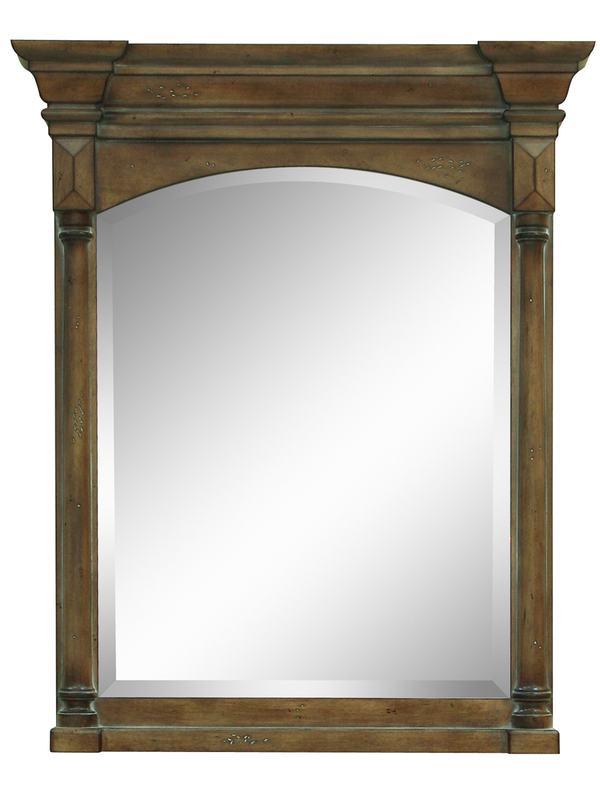 Match your new vanity with the equally refined matching mirror - packed with a beautifully dramatic crown frame and beveled glass, along with half-rounded column detailing to further give the Regency Place Vanity a regal look! 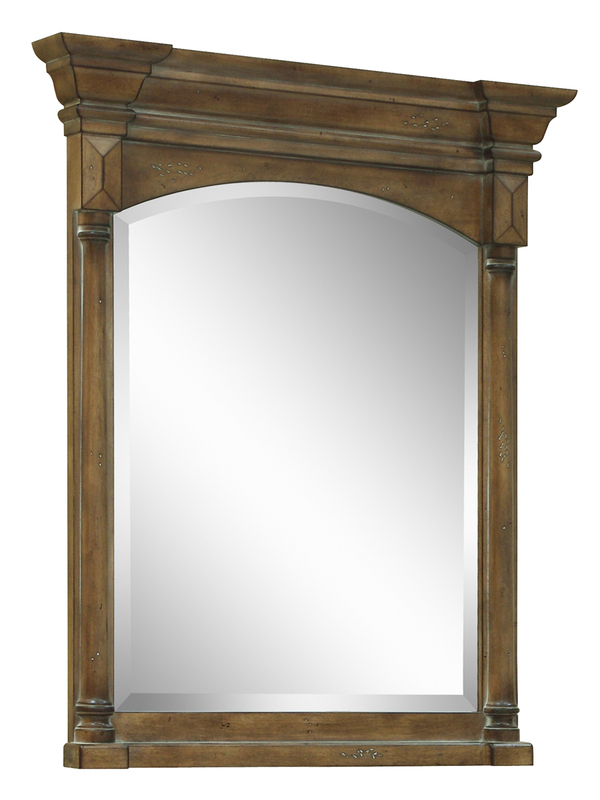 Choose from one of the great top options available for the Regency Place Vanity. 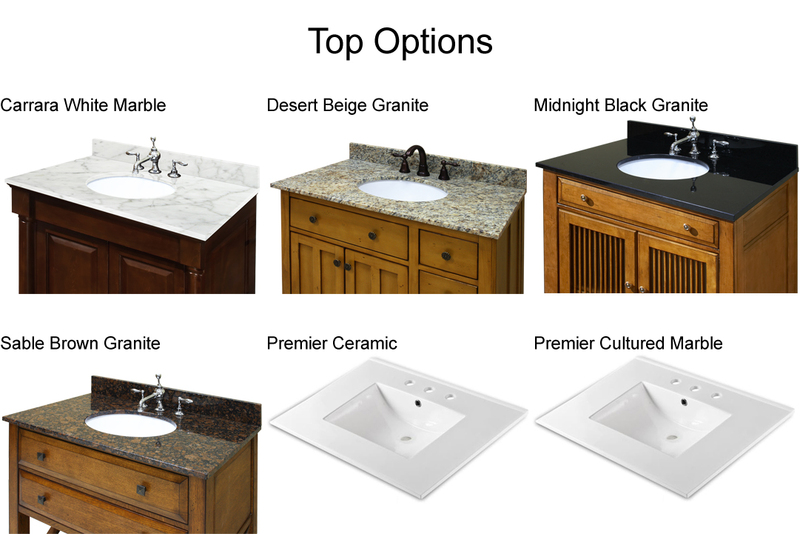 Each top option is pre-sealed and pre-polished to a smooth finish and is includes a pre-mounted undermount white ceramic sink!